Just north of the ancient town of Béziers, where Molière and his band of Troubadours once spent a winter (ca. 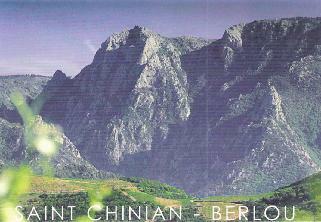 1656), is the lovely AOC Saint Chinian. 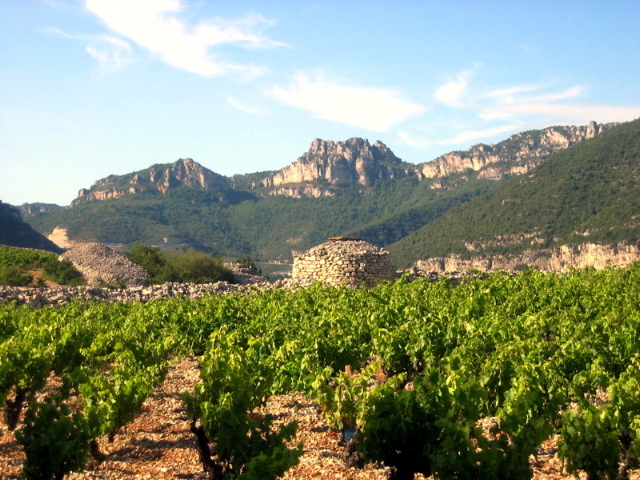 The area which envelopes 20 some villages and 3,300 hectares from the foot of the mountains Espinouse and Caroux, also includes the sub-appellations of Berlou and Roquebrun. It is one of the earliest appellations in the Languedoc to receive that distinction, designated in 1982, and produces both reds and rosés under AOC St. Chinian, with the area’s vignerons producing whites under the AOC St. Chinian (blanc) since 2005 and also frequently under a Vins de Pays d’Oc label. 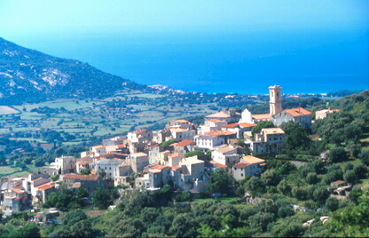 The climate, – sunny Sud de France – and the soils, primarily schistes, clay, calcareous and limestone, are typical of this Mediterranean zone and is one of the important elements that has lent itself to building this appellation’s “grand” reputation. The average temperature is a cool 14° C. The varietals used for the red blends in St. Chinian are Grenache, Syrah, Carignan, Mourvèdre, Cinsault and Lladoner Pelut. For the most part a St. Chinian red can be expected to be rich and generous with the rosés a bit more delicate giving off their hints of red berry fruits. Red wines dominate in this appellation, which is true of the region, with 89% of the production going towards them, while just 1% ends up as white wine and a decent 10% being produced as rosés. 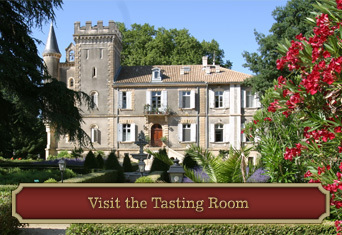 To visit all the wineries of St. Chinian, allow for some time. 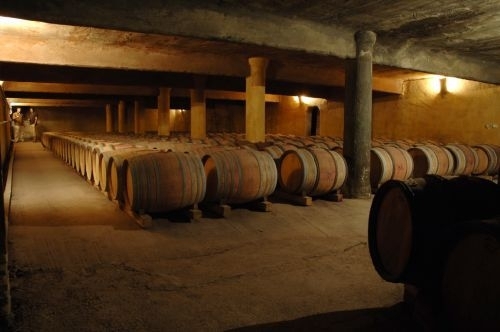 There are 100 private wineries and 8 cooperative cellars (caves coopératives) with a total of approximately 350 producers. The name St. Chinian is derived from the name of the monk, Sanch Anhan, who founded the monastery in the year 794 on the left bank of the River Vernazobre one of two rivers that run through the terrain. The Benedictine monk, beatified in 1102, became known as St. Chinian. St. Chinian is a delightful area in which to play tourist while you taste wines and stock up your cellar. 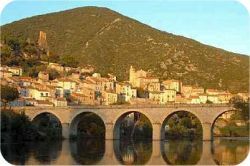 You can meander along the ancient Roman road that connected Narbonne to the upper Languedoc and then all the way onto Italy – the road that Molière and the Troubadours would have travelled. Or you can drive through the Orb Valley where orange trees an eucalyptus trees flourish alongside the river gorge, and where the little jewel of a village Roquebrun nestles. Be sure to pause along the wine route to take some of the heritage walks through the vineyards. 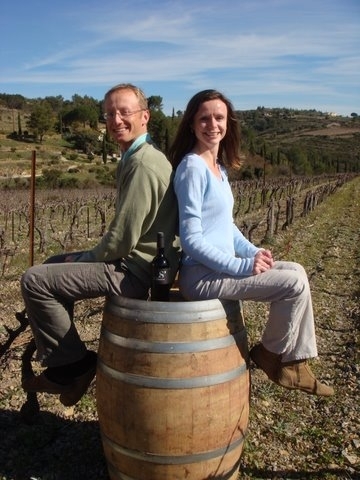 Joël and Véronique Fernandez named their vineyard after Joel’s great-grandfather, Leon, who himself came from a long line of vineyard managers and winemakers originating from this Languedocien patch of land not all that far from the Spanish border and Pays Basque. It was Léon who was one of the founding member of the “caves coopérative” of Berlou, credited with uplifting the quality and reputation of St. Chinian wines. 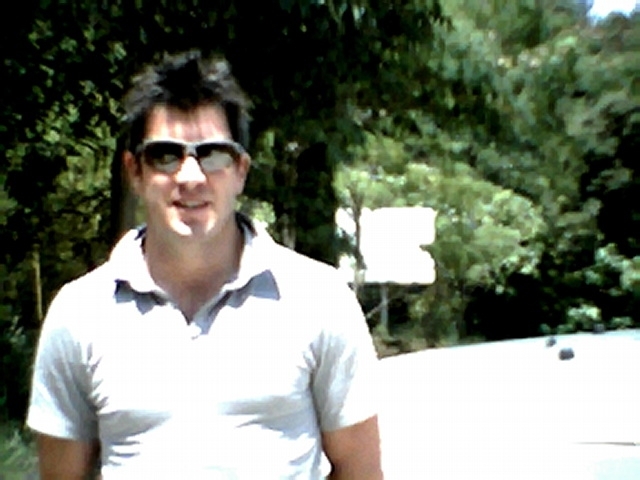 Since he was 16 years old, Joël dreamed of being the owner-operator of his own vineyards and winery. He immersed himself in the seasonal rhythms of the vines, in the harvests and dedicated himself to learning the mastery of the “alchemy” of winemaking. La Rose de Laury, AOC Saint-Chinian Rosé This rosé has delicate fuchsia reflections with notes of strawberries and cherries. 60% Cinsault, 20% Syrah, 20% Mourvèdre. Viognier, Vins d Pays d’Oc Blanc Sold out. Only the proprietor has a few bottles on reserve. Uncharacteristically made from 100% Viognier. [The French make blends from the appellation’s designated varietals, Americans tend toward single varietal vintages.] Notes of passion fruit, pineapple, apricot. Aromas of verveine. 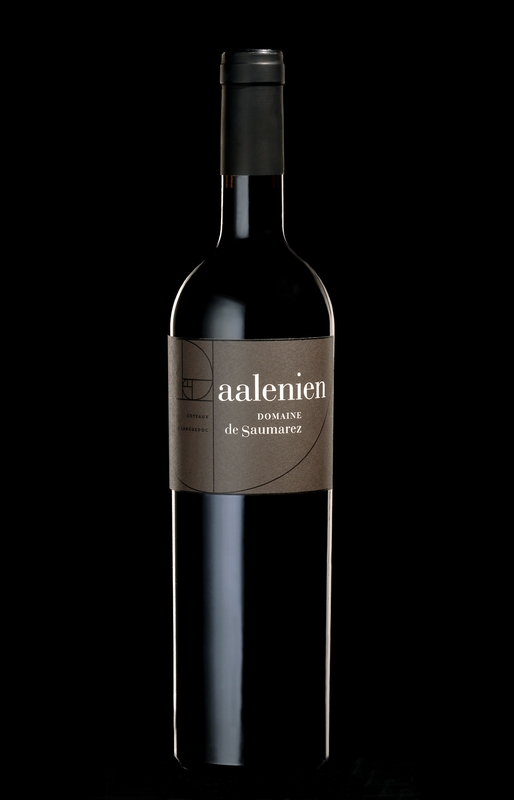 D’une main à l’autre, AOC Saint-Chinian – Berlou Rouge Only available in 2010 – so get it now. Plums on the nose, black cherries; mandarin, vanilla, pepper on the tongue. Round, full, long in the mouth. For steaks on the grill in summer, Entrecôte in the winter. 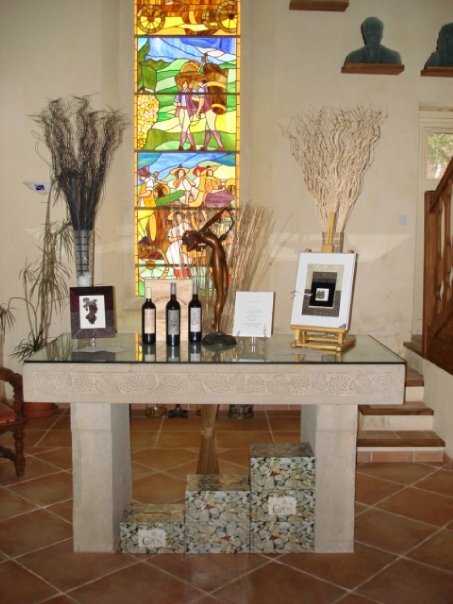 Also: L’insolent, AOC Saint-Chinian Rouge; L’Audacieux, AOC Saint-Chinian Rouge Visit the Maison des Vins in Saint-Chinian on the Grand Rue to start off your wine tasting of the region. Ask for Henri Miquel, the President or Nelly Belot, Director. 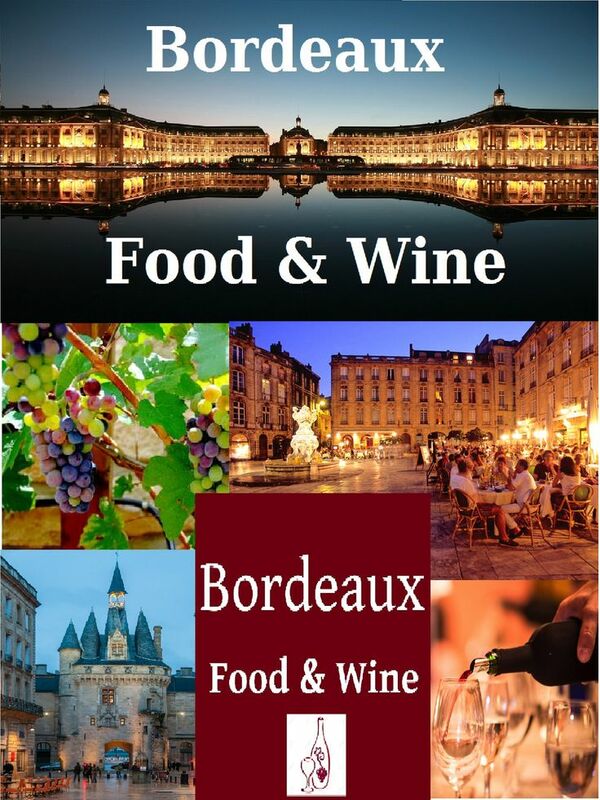 And be sure to stop in at the Syndicat du Cru AOC Saint Chinian at 1 Rue de la Promenade, St. Chinian. 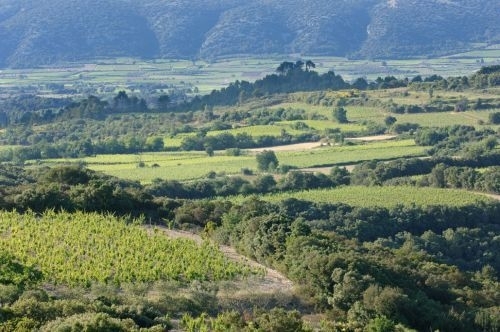 They have also planted the Bordeaux varietals of Merlot, Cabernet Sauvignon and Cab Franc, all which thrive in the unique l’argile bleueterroir – red, volcanic clay/soil – of this micro-climate situated in the sweetspot between Aniane and Gignac, not far from the Medieval village of St. Guilhem le Desert, just 30 km from the Mediterranean Sea on France’s southern coast. This l’argile bleue is similar to what can be found in Bordeaux and has proved to be quite a singular discovery for this vineyard as well as the neighboring vineyard. Their prize vineyard, the Triangle of Le Juge, are the grapes he presses for their Le Juge vintage, and what has earned the Château, along with their Capion vintage, the award of “Best French Winemaker 2008” in London as well as high marks from Decanter Magazine, Guide Parker(Robert Parker’s wine guide to France) and Andrew Jefford’s, The New France. 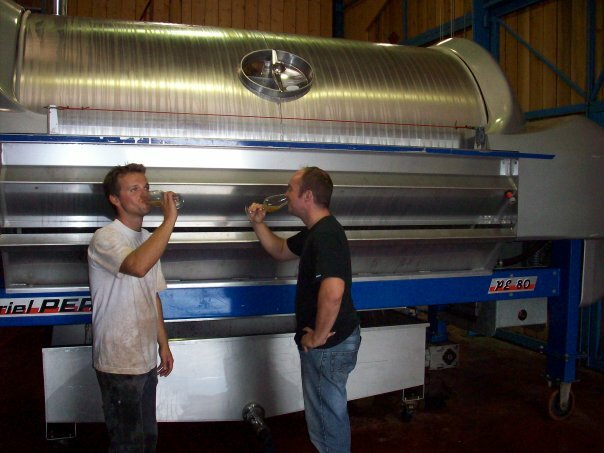 In the cellar he uses gravity for processing the grapes and hand stirs for the “pigeur;” in the vineyards they practice eco-friendly viticulture. 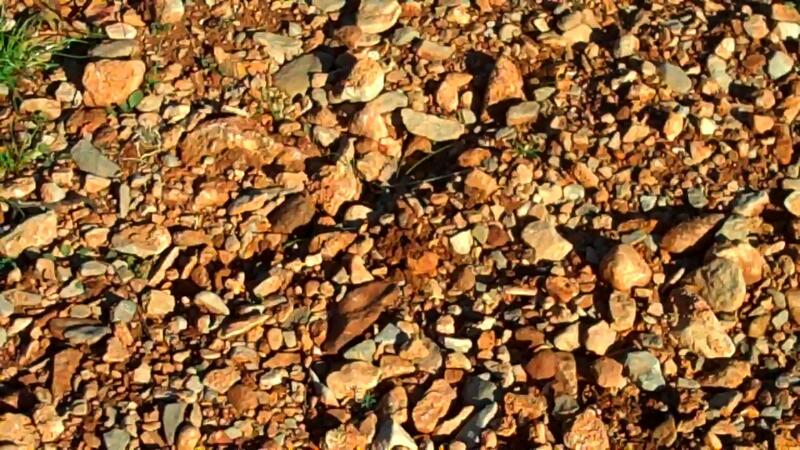 There is garrigue all around – sage, fennel, lavendar, thyme – but it is husbanded to a degree that lends a subtler, elegant taste to their wines when compared to the wines from the regional terroir. 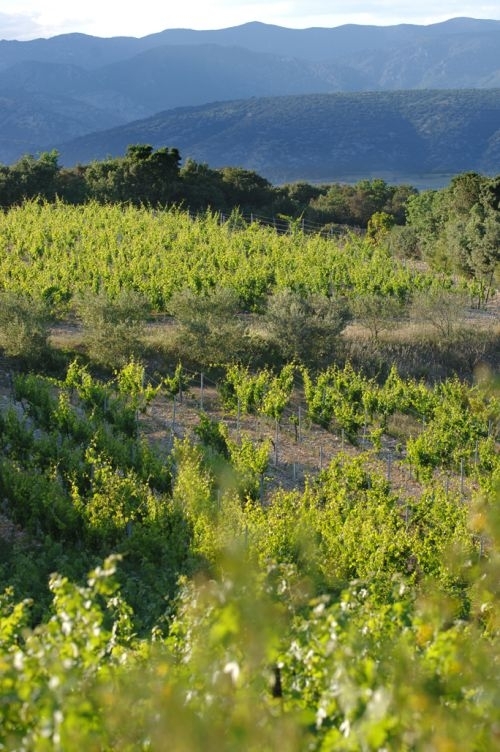 Daumas Gassac vineyards are planted amidst the Langudocian Mediterranean garrigue and the Arboussas forest. My father once told me the tale about a Stradivarius. There was a Stradivarius that sat in the dusty folds of an obscure shelf in the back of a violin shop. People came and bought violins from the shopkeeper, for themselves, for their children, but the few who stumbled upon the dusty, old instrument quickly overlooked it, assuming that it couldn’t possibly be an instrument of any worth. Until one day, a master violinist stumbled into the store and like a mother to its child, was at once drawn to the exquisite instrument and knew it instantly for what it was. In his hands, beautiful music once again issued forth from the Stradivarius. This story came to mind as I drove away from Mas de Daumas Gassac, the 50 hectare Languedocian vineyard estate just outside of Aniane. This region, the Midi, is, of course the Languedoc-Roussillon, the region that produces the most wine not just in France but in the world. The region is, in every sense of the phrase, Sud de France. Daumas Gassac vineyards and aromatic Mediterranean garrigue, Aniane. What the region was not known for in 1970 was its quality wine. Flanked by Bordeaux, Burgundy and the Loire and Rhone Valleys, the Languedoc has long been known as the area that makes table wines or vins de table, the better ones just squeaking by with a vin de pays classification – or so goes the common perception. But not all wines need a classification in order to be good. Excellent, even. Indeed, in the case of Mas de Daumas Gassac, as much notoriety as this wine has attracted, it still eschews classification, its winemakers saying a polite “no thanks” to an AOC label. Mas de Daumas Gassac. Estate, Winery, Vineyards, Tasting Room. Tout ce qui brille n’est pas d’Or. …And, conversely, all that is gold does not glitter. In what has played out over the last 40 years since the Guibert family has grown their grapes and harvested their wines at the vineyard they planted around that old dilapidated mill, now the Mas de Daumas Gassac, is nothing short of an uncovering of a long-forgotten treasure. 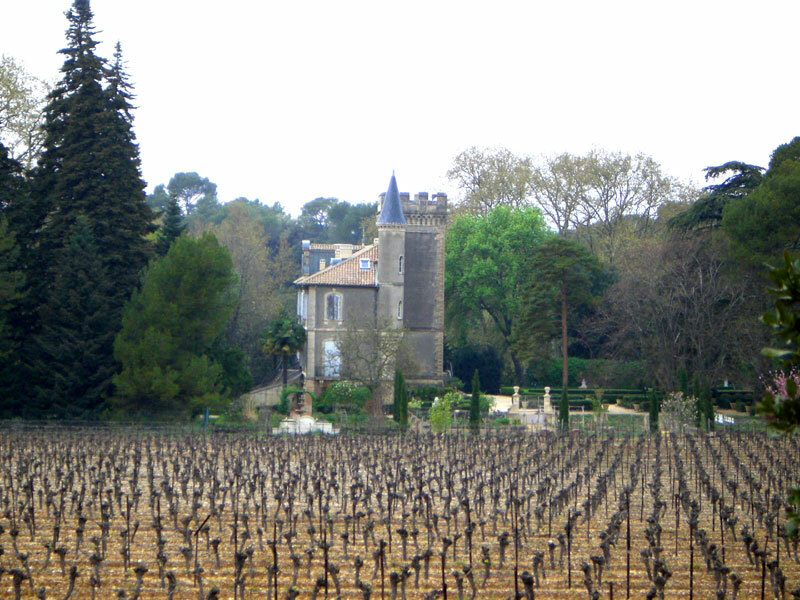 The treasure, arguably an unofficial Tresor de France, is the terroir of the Gassac Valley. Daumas Gassac red, glacial soils. 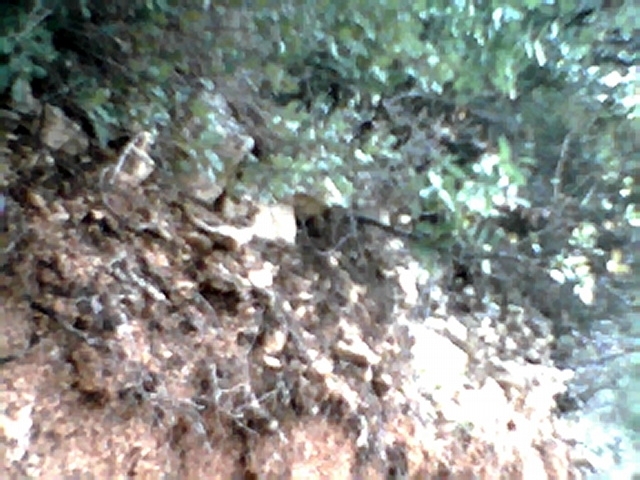 A terroir specific to the estate. 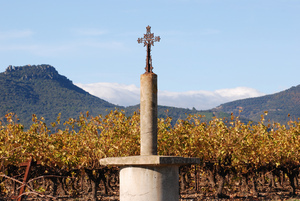 The 50 hectares that Mas de Daumas Gassac rests on are home to the first wines ever produced in the Gassac Valley. Those wines were made for Charlemagne, the first King of France ca. 780 A.D. In fact, it was St. Benoit d’Aniane, one of Charlemagne’s counsellors and an Abbey, who created the first vineyard in the “magical” valley of Gassac some 1,200 years ago. The magic is the microclimate. 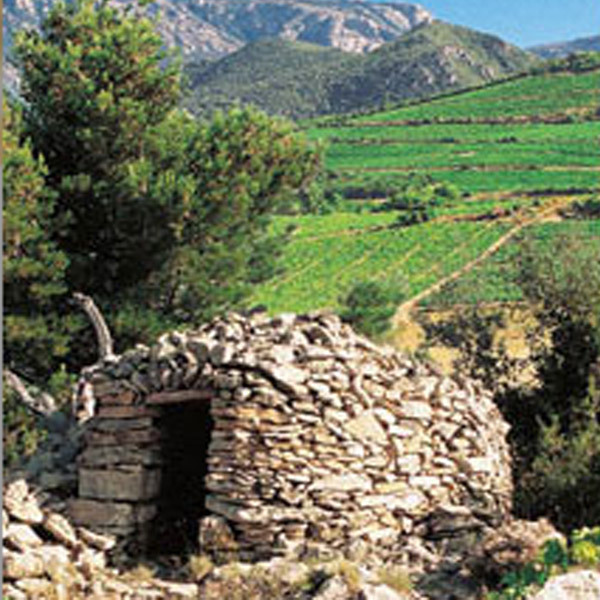 The terroir was rediscovered in 1971 by Henri Enjalbert a Professor of Geology at Bordeaux University. Veronique, also a PhD (in ethnology) and husband Aime’ Guibert were successful in getting Professor Enjalbert out to the Mas to check out not just the unusual red soil, which was found to be glacial soil, the calceous limestone (for the white varietals), but also to explore the cool microclimate that is derived from multiple factors: the Gassac River, several natural springs on the property, and the cool night air that descends from the Larzac mountains throughout the valley cooling the air surrounding the vines in August and September by about 5 to 10 degrees. Pere and Freres Guibert, Mas de Daumas Gassac. A Guibert with his grapes. 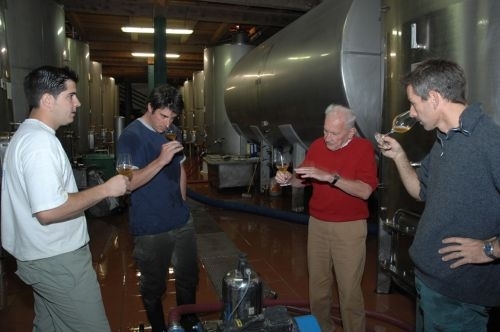 Today it is the brothers Samuel, Gael, Amelien, Roman and Basile who take care of the estate. The Mas de Daumas Gassac label, with its sister label of Moulin de Gassac, produces about 150,000 to 200,000 bottles every year. Walking through the Daumas Gassac vineyards is not just a walk through the vines but also a walk through the Forest of Arboussas, the Languedocien garrigue and, on this sweet summer day in June, a walk through veils of frolicking white and yellow butterflies. The ladybugs are there, too, when you stop and look closely. Winemaker Samuel Guibert, Mas de Daumas Gassac. What’s really unique about this estate, however, in addition to the glacial red soil and everything else…is that the 63 vineyard parcels are all planted interspersed throughout the property, fully integrated with the garrigue and the 3,000 hectares of protected forestland. When you look up the translation for garrigue, the English is “scrubbrush” or just “garrigue.” What it is in fact is clusters of lavendar, mint, thyme growing wild since the millennia. This is the real Mediterranean. Aromatic, fragrant. So like hidden gardens of fruit nestled within aromatic parcels of herbs, the vineyards are planted throughout this preserved and untouched forestland of fragrant garrigue. Mas de Daumas Gassac barrel cellar. French oak used not to influence taste but to enhance age-ability. When the grapes are harvested by hand, they are then deposited via gravity into the underground fermentation cellar via a trapdoor which is up top at ground level. 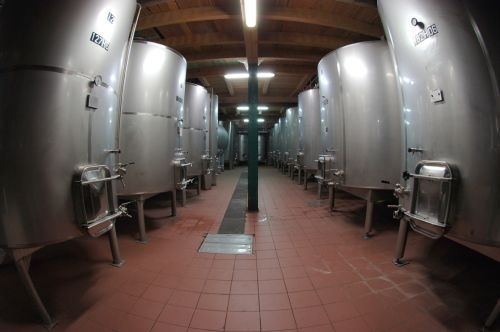 The fermentation cellar used to be an underwater tank. “We took what existed and made the best of it,” says Guibert, emphasizing that the whole process from sorting to destemming to macerating is all moved along purely by gravity and all done by hand. Fermentation cellar at Mas de Daumas Gassac. Was once an underground water tank. This is a process not often seen any longer anywhere, including France. Some of the vineyards in Bordeaux used to use this gravity-fed process but most have since switched to automated. The difference being, explains Samuel, that the less the grapes are manipulated or handled, the better. Similarly natural and using the resources at hand, the river next to the cellar helps to maintain the cellar at a cool 13-14 degrees C. in Winter and about 17-18 C. in summer with about 70% humidity. “It’s perfect temperatures for cellaring our wines,” says Samuel Guibert. They only use about 5% new oak. “We don’t use oak to influence the taste of the wine, rather to enhance the capacity to age,” explains Guibert. You will often hear that a Mas de Daumas Gassac – red or white – has an ease of ability to age. “They are wines that can age, I like to say,” says Guibert, noting that the red that you drink and enjoy today will be a different wine from the one you cellar for 10, 15 and even 25 years. Different and perhaps equally enjoyable. They blend for complex wine. The Guiberts only planted old strains of vines used before cloning, “to ensure traditional flavors and low yields.”Some of the planted vines are pre phyllaxera era and some are grafted onto American root stock. Oenologues refer to the Daumas Gassac vineyard as a “living museum” of Cabernet Sauvignon, Petit Manseng – a varietal that really only thrives in the south west region of France, – Viognier and also a “panoply” of 10% varietals that originate from “Biblical” Mediterranean vines – Israel, Lebanon, Syria, Armenia. As for the vines that St. Benoit of Aniane planted for the Abbey and Charlemagne, “The existing vineyard that my parents found when they arrived at Mas Daumas in 1970 was indeed extremely ancient but no one can prove if it was the exact same vines as when St Benoit d’Aniane arrived,” says Guibert. Emile Peynaud, the revered modern genius of oenology, told Mssr. Guibert back at the start of this quest for treasure that he had never been attendant at the birth of a Grand Cru. Forty years later, and we get to enjoy the fruits of that treasure quest. This is an ancient delicacy originating from the Mediterranean Sea. It is made from compressed fish eggs, silver mullet roe, to be exact. The roe is cured and dried to perfection using sea salt and then embalmed in a wax coating to seal in its flavor and freshness. It costs about $200 per kilo but since it is meant to be eaten as a flavor-packed appetizer, you can buy it in lesser quantities and still enjoy generous portions. The boutargue itself varies in color from yellow to orange to a burnished brown, though with the wax encasing it first appears as an odorless, colorless sausage. This is such an ancient dish that it dates back to the 6th Century B.C.E. when the Phoenicians imported it into Provence when they founded Marseille. Still, the Greeks, the Italians (Botarga in Italian) and the Egyptians dispute the origin of the “caviar” delicacy. 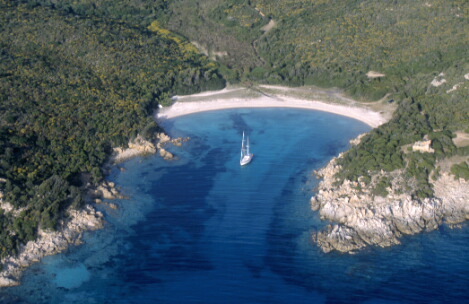 In Corsica, Boutargue is enjoyed during the Christmas season. In Italy, they like it shaved thin on their spaghetti. In the South of France, in Martigues near Marseille, where it is the traditional dish, it is relished in thin slices, drizzled with olive oil and lime, served with green olives and crackers and accompanied by Arak, Pernaud, chilled Vodka or Fig Liquor. In case you missed it, July 3rd was a day to celebrate the beautiful, the wonderful, the full red-ripe and juicy glorious tomato at the Fete de la Tomate. In the south of France, on a day when both Canada and the U.S. were celebrating their days with fireworks and picnics, hundreds of farmers and locavores gathered in reverant, festive celebration of the Heirloom tomato, in all its thousands of varieties. It’s hard to imagine that anyone could know tomatoes better than the Tomatologue knows tomatoes. This is a tomato devotee who not only grows about 1200 different varieties of tomatoes, but someone whose eyes light up as he gingerly hands you the freshly cut slice of tomato from one of his artisanal varietals and watches as the delight sweeps across your face, dancing in harmony with the sensorially exquisite taste of the tomato in all its fullness of flavor as it bursts from the fruit and splashes over your tastebuds. Cave de Roque Brun, St. Chinian. They are in the Guide Hachette and have won a Gold Medal in Paris’s Concours Generale Agricole. 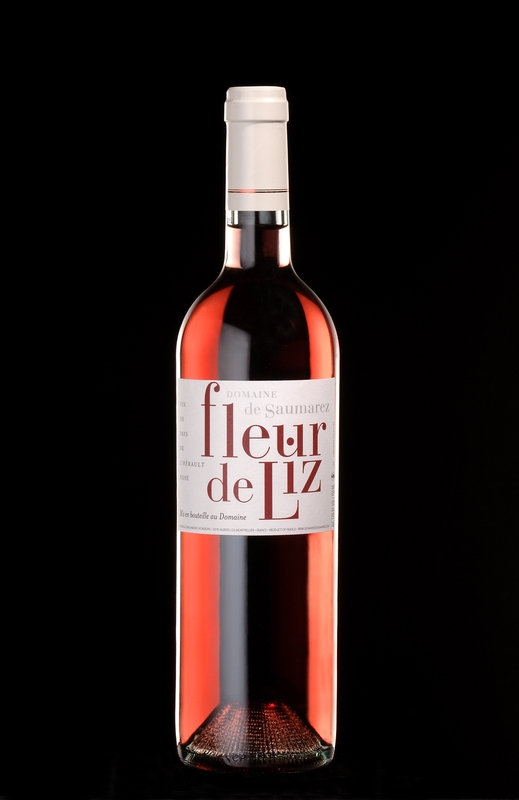 Fleur de Liz, Domaine de Saumarez’s rose’. 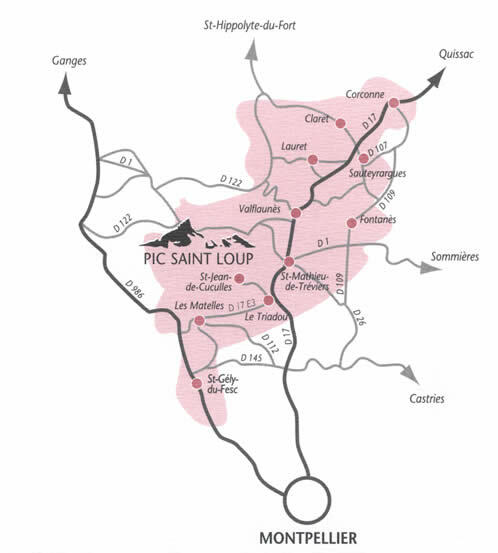 “The vignerons of the Pic Saint-Loup have been smart to identify their appellation with the majestic mountain of Pic St. Loup,” comments a compatriot winemaker from the Murviel-les-Montpellier sub-appellation just to the south of Pic Saint-Loup. The Pic St. Loup is only red and rosés. White varietals are grown in the appellation but are not bottled under the Pic Saint Loup AOC classification. Only reds are honored with that with the whites receiving a Coteaux du Languedoc, or the local Vin de Pays du Val de Montferrand also for the roses. 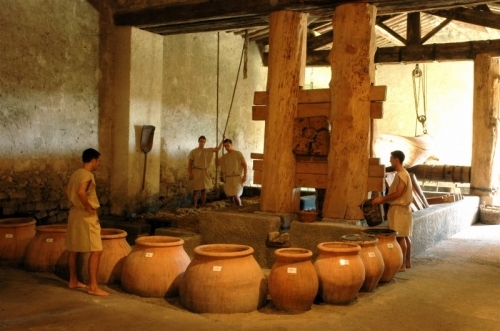 Roman Wine Press, antiquity. Reminiscent of what was operational in Aspiran, ca. 10 A.D. whre claret was originally cultivated in Europe. Many people know claret as a sweet white wine the English liked to drink back in the day. But this old-fashioned vine has the prestige of being the varietal found to have been cultivated on the oldest European vineyard discovered to this day. 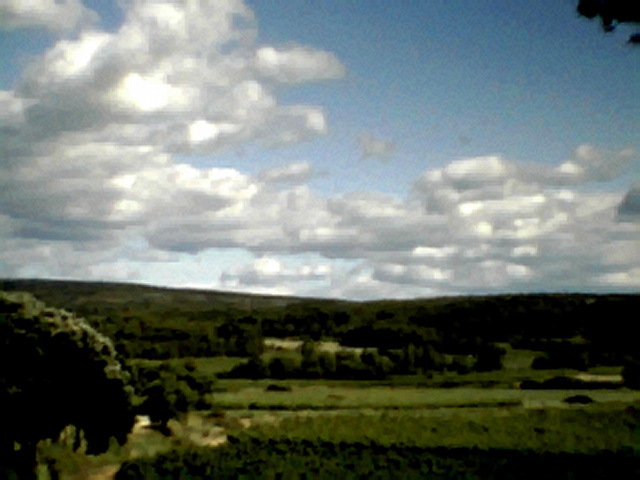 That vineyard is in Aspiran, the Languedocian village in Sud de France. It once belonged to Quintus Iulius Primus who maintained the claret vineyards under cultivation as early as the year 10 A.D. when nearby Bezier was still a Roman outpost. The varietal is indigenous to this Languedocien region in the Herault. 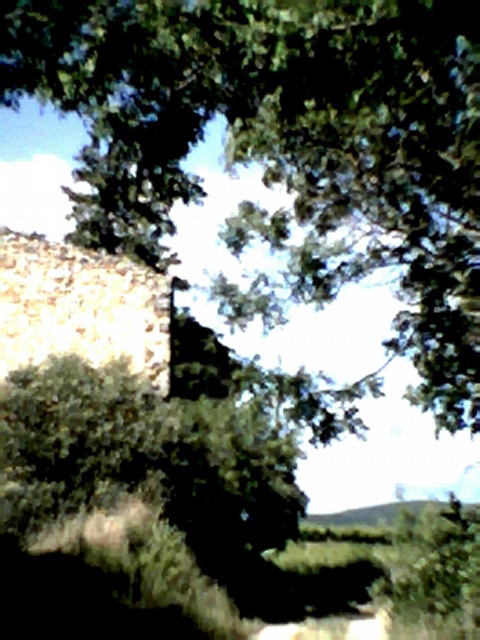 Ancient claret vineyard of Quintus Iulius Primus of Aspiran, Languedoc from ca. 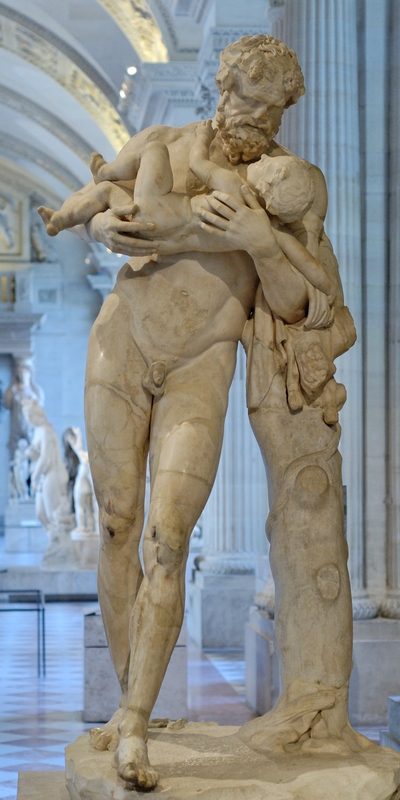 10 A.D., France. 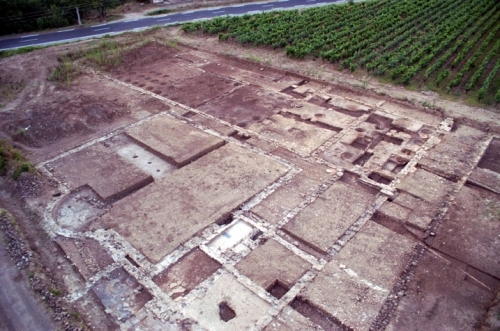 Excavation of ancient claret vineyard from Roman times, ca. 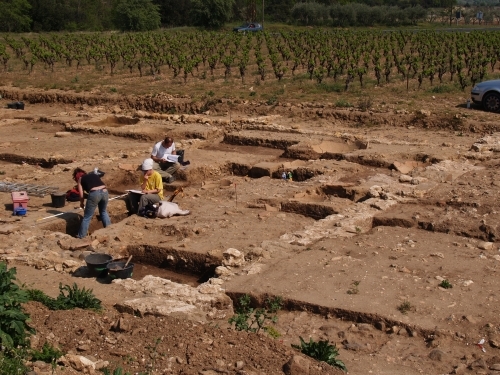 10 A.D. in Aspiran, Languedoc region in the Herault, Southern France. In 1948 Clairette du Languedoc was pronounced its own Appellation d’Origine Controlee (AOC), the first in the region. Claret, both the dry white and sweeter varieties of the wine enjoyed popularity all throughout the Middle Ages. It is said that Rabelais and Oliviers de Serre both mentioned “Cleretz,” also called “Hypocras,” in their writings. At nearby Montpellier Rabelais lectured on the ancient physicians, Hippocrates and Galen. In 1532 he was a physician at Hôtel-Dieu, a general hospital in Lyons, the city that was France’s commercial and cultural center at the time. In the same year he published his famous comedy, Pantagruel, under the pen name Alcofribas Nasier – an anagram of Rabelais’s real name. 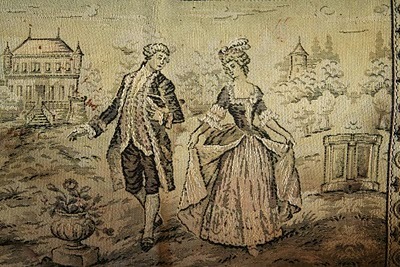 Hypocras and Cleretz were the ancient names for Claret. 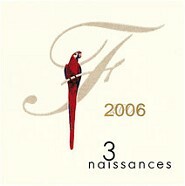 During the Renaissance, in 1533, Francois The First drank claret wines in Beziers. It is said that when Moliere spent a winter in Beziers ca. 1654 he drank the famous Hypocras, “clairette moelleuse” of the age. Claret vines like the hot, arid conditions and poor, dry soils of the Mediterranean. It tends towards high alcohol content and is often referred to as clarette blanche and blanquette. The wine was big business for the Hérault region all through the Middle Ages. After the French Revolution, claret began losing its market share in European trade. It wasn’t until 1900 when, due to phylloxera, claret vineyards fell into declining production. 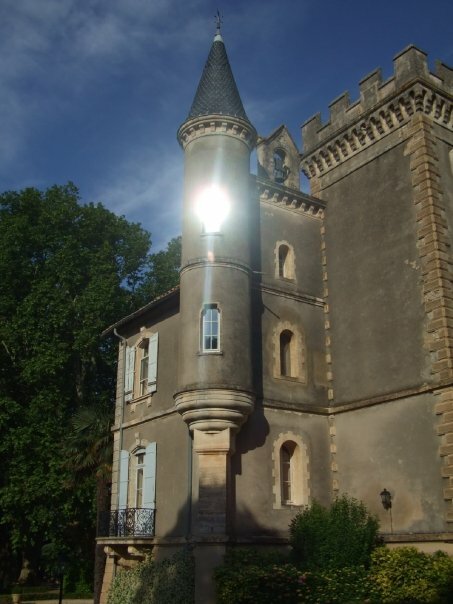 Today, in addition to Aspiran, where Chateau Malautie‘ grows claret vineyards right next to the fields once maintained by Quintus Iulius Primus two thousand year ago, you can also find wineries producing claret in the villages of Adissan, Le Bosc, Cabrières, Ceyras, Fontès, Lieuran, Cabrières, Nizas, Paulhan, Péret, and St-André-de-Sangonis. There’s about 70 hectares in total under cultivation in this appellation. In addition, claret makes (minor) appearances in blends including Châteauneuf-du-Pape, Tavel Rosé, Côtes-du-Rhône, Lirac and Blanquette de Limoux. 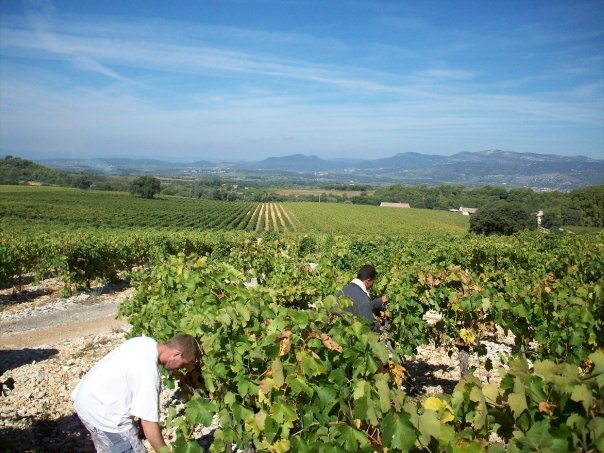 Clairette du Languedoc production centers may also produce red or rosé Coteaux du Languedoc wines. France’s Languedocien countryside and vineyards, Sud de France. 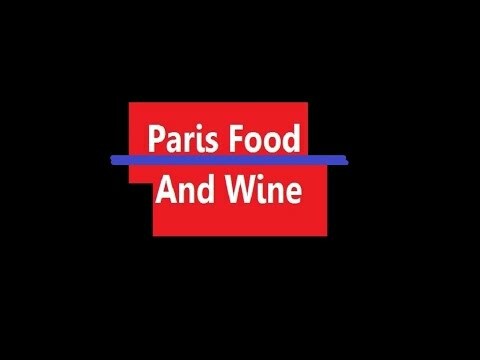 Genuinely definitely very good website article which has got me wanting to book one of your Local Food And Wine Tasting Tours! Helloc’est cool de trouver du monde avec le meme avis à ce sujet, je repasserait plus souvent. You could certainly see your expertise in the paintings you write. The world hopes for more passionate writers such as you who aren’t afraid to mention how they believe. Always follow your heart. blog and I am impressed.